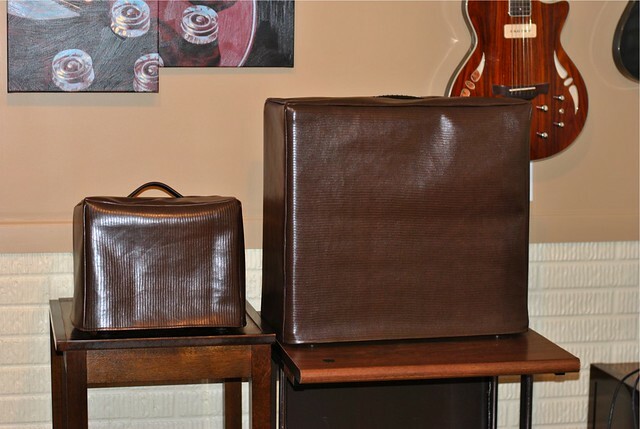 Just popping in to show off these custom amp covers I made for my dad. He went to Jo-Ann Fabrics and picked out the fabric, a striped-brown vinyl. 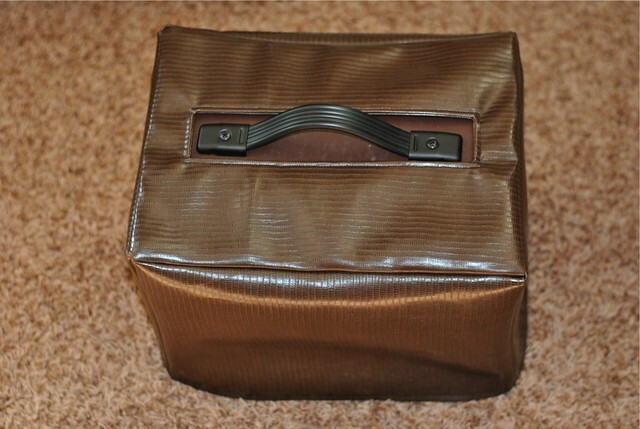 Could work for a sewing machine, tissue box, or other electronic case with a handle. Anyone interested in a tutorial for this type of cover? Mixed Media Artist: Cyndi is giving away a challenging new book: Push Print from Lark Publishing! ACreativeDream: June's been making tiny glitter houses and is giving one away! Cherie Burbach's blog: Cherie makes a small blue and green glass sculpture because she's obsessed and can't stop. Crafty Princess Diaries: Tammy tries out one of the Crochet Dude's new ergonomic crochet hooks as she makes a shawl using some lucious yarn. Eileen - The Artful Crafter: Check out some winter and Christmas craft projects at The Artful Crafter. Oh YES! I would totally be interested in a tutorial for this. My husband has his Amp downstairs that doesn't get used as often as he'd like but our 15 month old is constantly playing with the nobs. Plus its dusty as all get out of town so anything to keep it clean, safe and away from the little guy would be awesome. And you did a fantastic job BTW!! I love the cutouts in the top for the handle. Plus your dad picked out great fabric! Yes, yes. How did you get such square corners? You have no idea how many amp users I know that would flip over these!! !PLEASE do a tutorial. Yes, please! I've been procrastinating making a sewing machine cover, and this would be perfect. Love the way it would completely cover the whole machine, and I'm not good at figuring these things out.....but you sure are! Thanks. Those look awesome! I'd say yes to a tutorial! 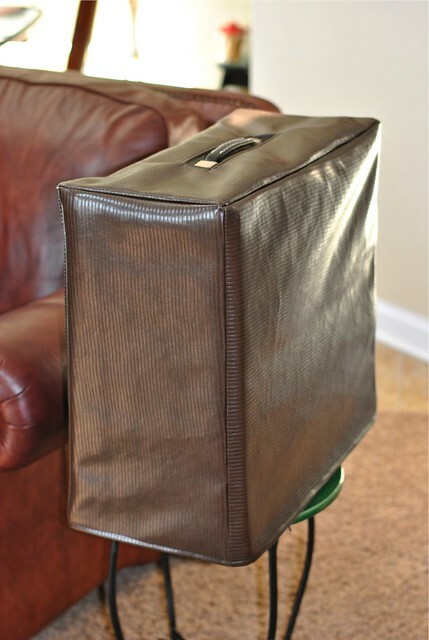 My sewing machines both need covers, especially my travel machine! Please do a tutorial, thanks! I would be very interested in a tutorial for these! So great! please notify when you've made the tutorial. I would love to make several for my hubby and both sons.